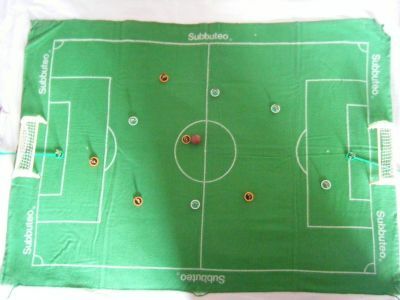 A six a side version of Subbuteo using the standard components instead of a specially designed game such as Football Express. 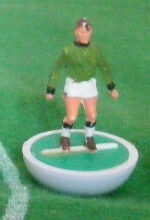 Typical Subbuteo lid with wording in English and French. 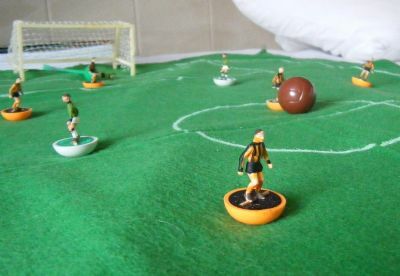 Basic components of small pitch, goals and two five a side teams. 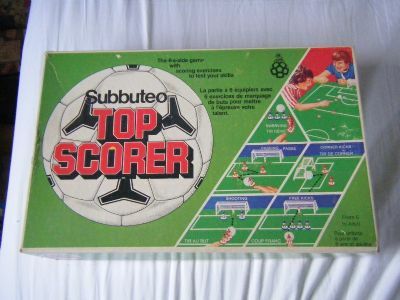 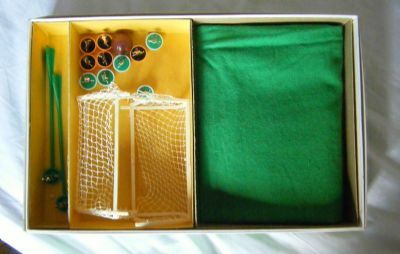 Subbuteo often used left over players in these sets so you do sometimes get rare kits included.